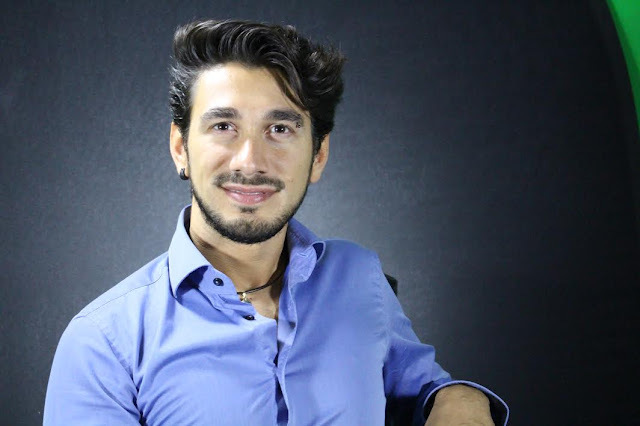 “Reconnect with your true essence, evolution and actual potential” is what Reconnective Healing offers its clients and Marco Alati was skeptical about the whole thing before he tried it. As he was lying on the massage table with his eyes closed, a Reconncetive Healing Practitioner was moving his hands above Marco’s body and his initial thoughts were: “Why am I wasting my money on this?” Of course, in a matter of minutes, Marco realized that something was happening – something that would change his life and his life’s career path – forever. It wasn’t the tingling and pulling sensation from his toes to the top of his head that did it. And it wasn’t the feeling of tiny explosions inside his veins that told him everything was going to be different from then on. It was a subtle shift in his awareness and a definite feeling of being flushed out and left with a sense of clarity that was at once puzzling and at the same time filled with an enormous amount of intense joy that was the key to moving him forward into a new and very clear perception of how he saw his life and the potential of greatness that lay ahead. He questioned the path that he had chosen when he was still a victim of preconceived notions set forth by his family and his society. Three months later, and despite everyone’s objections and a complete lack of subsequent planning, he quit his job as a biotechnological researcher and went to work for The Reconnection, the company founded by Dr. Eric Pearl, who developed Reconnective Healing. Drastic changes for a young man who had his future all laid out in a very neat straight line. Now, however, Marco’s life and life path are even more in line with his true nature and he is happier than ever. He is one of only 120 Reconncetive Mentors in the world and he is a Reconnective Prectitioner and is part of the International training team as science expert. Marco is also qualified to certify potential practitioners as Reconnection-Certified Practitioners. Reconnective Healing is comprised as a wide spectrum of frequencies that allows our cellular structure to vibrate in a more coherent and harmonious way, bringing a shift in the amount of biophotonic light that our tissue are able to emit and receive. This quantum energy field, according to Dr. Gary Shwartz of University of Arizona, leads us into a state of “quiescence,” an abundant development for our body and its vitality. There are currently more than 2000 independent studies that support this fast-spreading new form of healing, with over 100,000 people trained all over the globe, many working in hospitals, independently, or in one of the many Centrums that are exclusive to this field.